Make your Christmas décor stand out from everyone else’s this holiday period with this nature inspired wooden decoration from the makers at East Of India. Based around the tree stick principal of its structure, this Christmas tree design is made from twigs compiled in size to form the original shape. 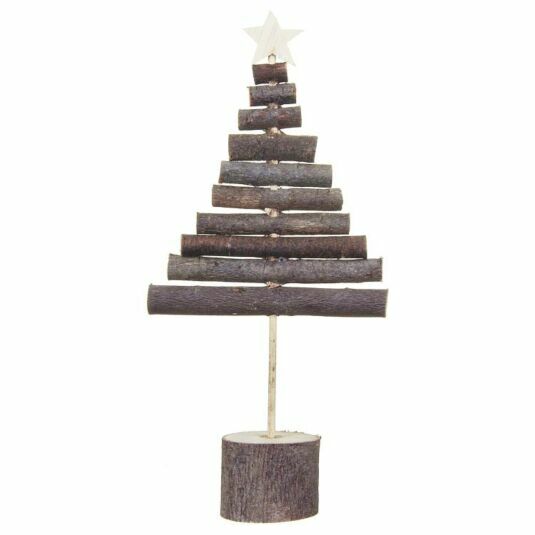 This decoration also features a thick wooden tree stump bottom to weight the piece down and a wooden cut star atop the tree to give it a festive feel. 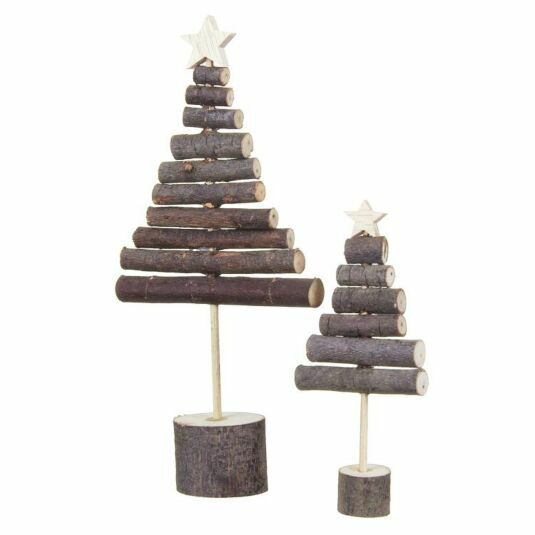 This small wooden stick tree decoration is also available in a smaller size as shown. 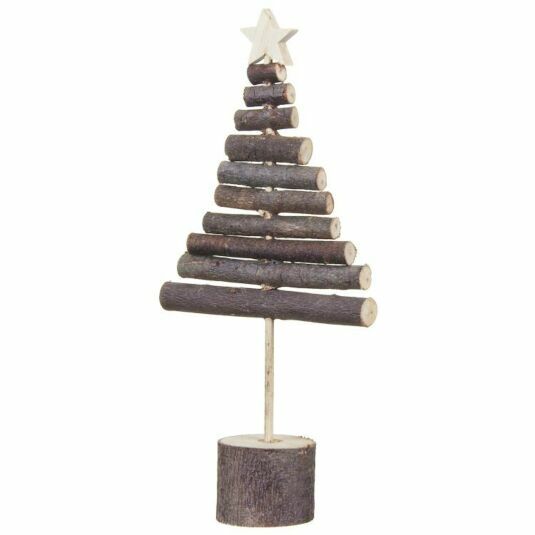 Introduce nature into your Christmas decorating with this sweet and rustic wooden stick tree this winter.